Ugh, am currently wrapped up in a fluffy sweater coat, sweater and heat cranked up and STILL feeling cold. 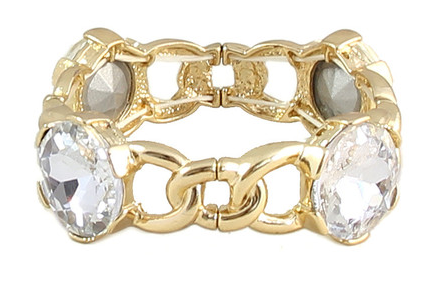 At least I am still able to look at pretty things, like this chunky bracelet from Olive + Piper. I love how OTT this bracelet is; it's truly a statement, yet not so much that it becomes tacky. This, and chicken soup has me drooling.